Claudia and Fraser biked around the world in 1994-5. 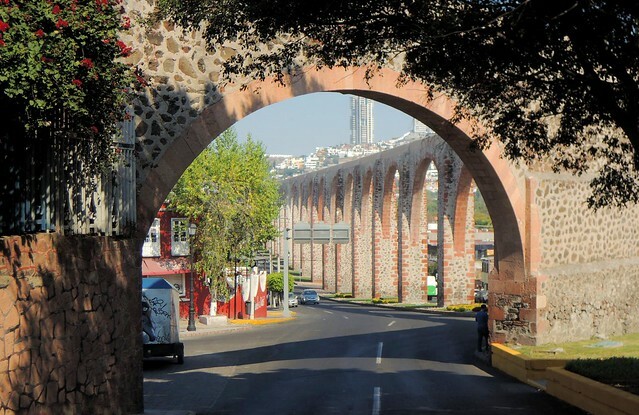 Querétaro’s historic center was declared a UNESCO World Heritage Site in 1996. 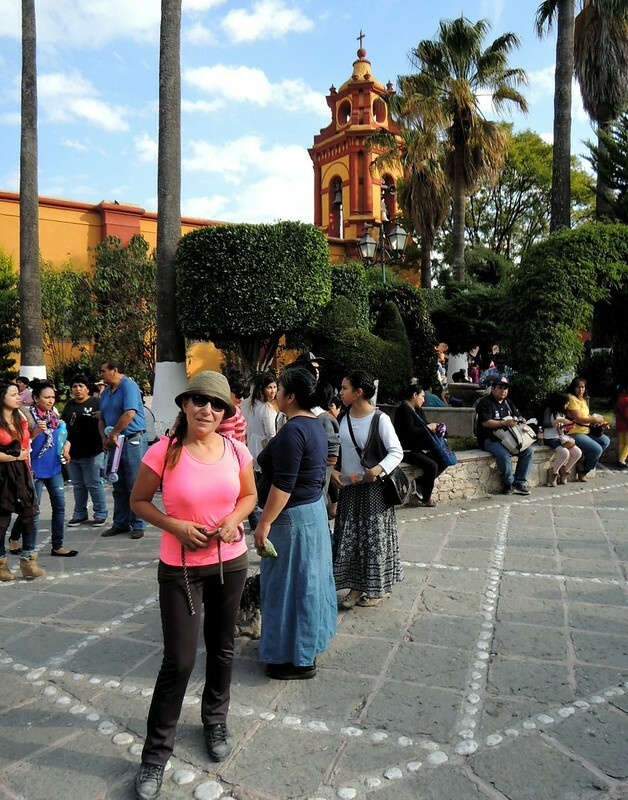 In 2008 National Geographic Traveller ranked Querétaro 13th on their list of the 200 best historic destinations for tourists. 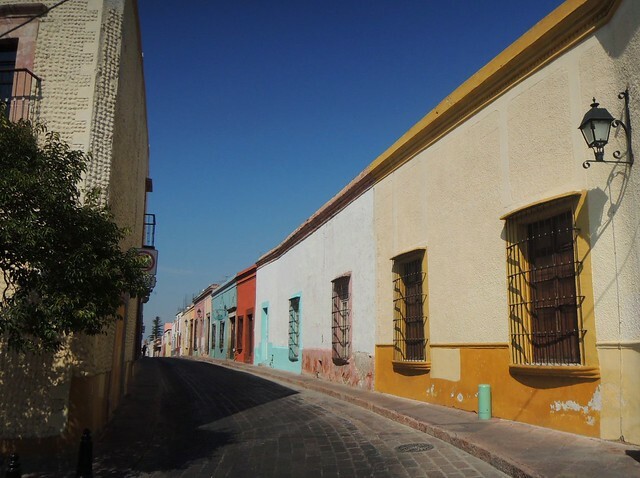 That downtown historic Querétaro is a super place to visit is certainly no secret, yet somehow I had never been there before. 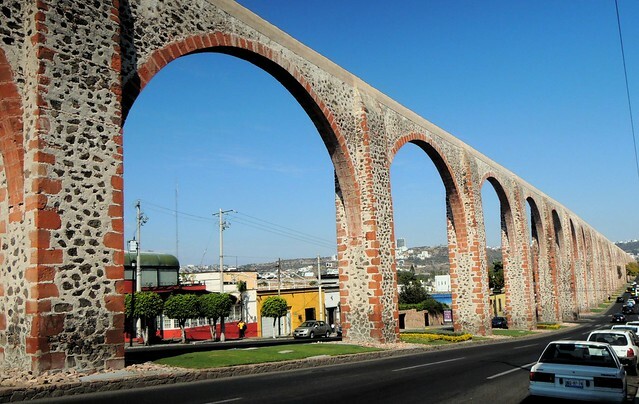 Only a short bus ride from Mexico City, it’s certainly easy to get to Querétaro. Ferda and I showed up in the late afternoon on New Years’ Eve with no hotel reservations. Mexicans, of course, travel like mad during the holidays so it shouldn’t come as a surprise that we had a little trouble finding a place to stay. It didn’t help that we had lots of luggage — we were lugging around climbing gear — and my cell phone wasn’t working. I had been phoning some hotels earlier in the day, but then the calls wouldn’t work from Querétaro itself. What I learned is that in Mexico you need city codes, but once you’re in the city, even with a cell phone, you can’t use the city code. So with your cell phone you need a different number to call the same place depending on where you are in Mexico. Do other countries work like that? It seems strange and has the effect of making one even madder at billionaire Carlos Slim, charging high prices for both lousy and strange service. Once I got the phone figured out, we found a good place to stay with plenty of time to enjoy the New Year festivities. 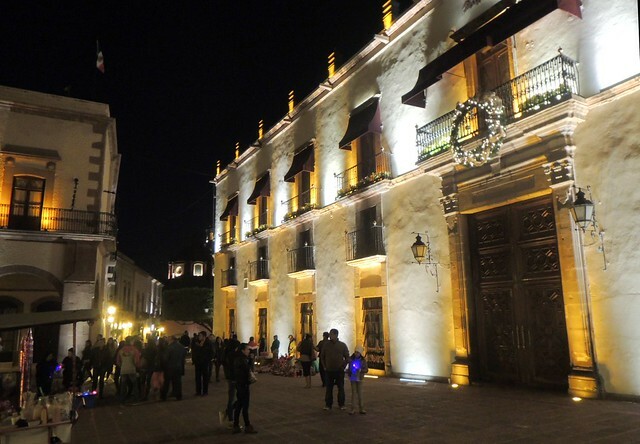 The downtown plazas were full of people, lights, and dancing. 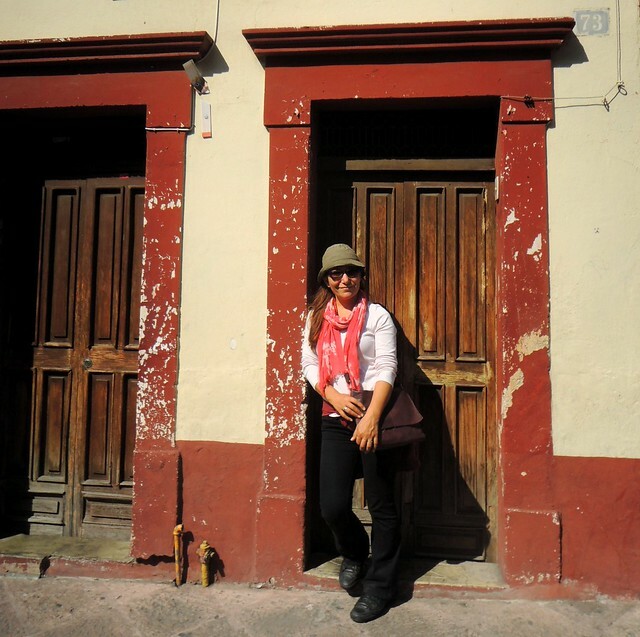 Even though the next day was a holiday, we had a great time wandering around Querétaro’s historic center. The high and long historic aqueduct was quite a surprise. Our two evenings in the city we ended up going back to the same bar, Manceba. 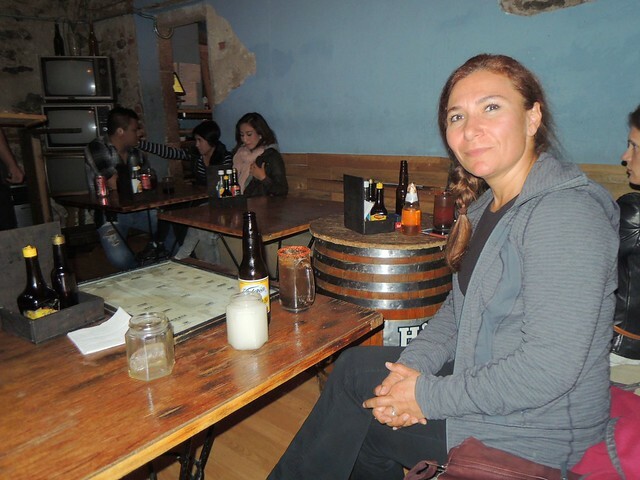 I liked the atmosphere and loved the fact that they’re keeping Mexico’s pulque tradition alive. Pulque is definitely an acquired taste, but this bar offered plenty of slightly sweet, flavoured pulque to appeal to a young, urban crowd. We ended up trying the natural (i.e. traditional, without extra flavour), the aquamiel, café, and piñon. One problem that New Years Day holiday did cause was that I was unable to arrange a rental car for the following day for a our trip to Bernal. 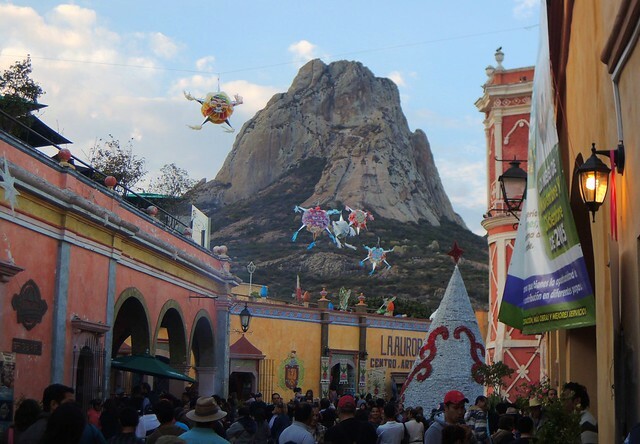 We had no trouble getting an early morning bus to Bernal from Querétaro, but it was the return after climbing the marvellous Peña de Bernal that I was worried about. With the transportation worries, Ferda kept suggesting we do something else, asking, “why do you want to go back there and climb the same route you’ve already climbed? Let’s go somewhere new.” However, by the end of the day she was singing a different tune. 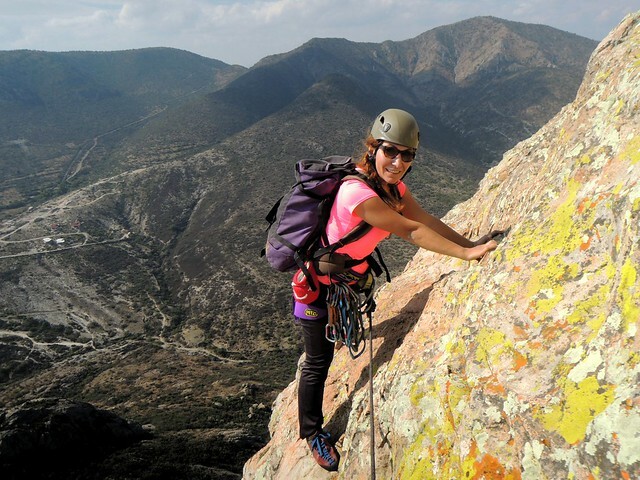 The six-pitch climb is great fun, the downclimb certainly keeps your attention, and the Pueblo Mágico Bernal is a wonderful place to spend an afternoon as hundreds (thousands?) of Mexicans also decided to do on the last day of the New Year long weekend. After the climb, we didn’t poke around town too much, heading more or less directly to the excellent Italian restaurant, Piave, owned and operated by an actual Italian who didn’t remember me from my last visit. 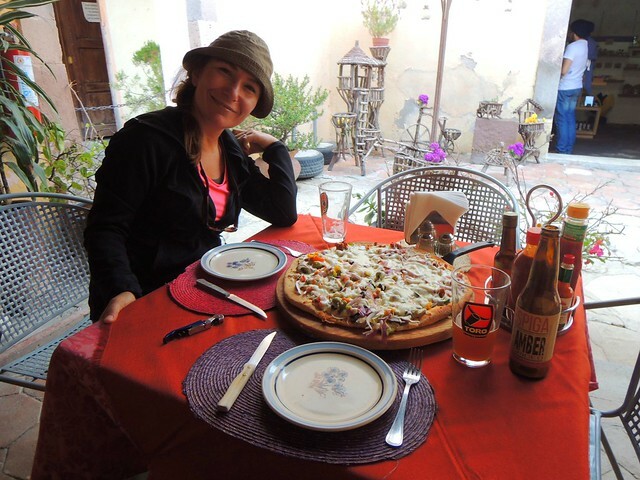 Good climb, cute town, yummy food, excellent day. Ferda says she wants to go back and climb La Peña de Bernal again. I’m in. And the transport? Well, I guess you could say it worked for us. We managed to catch the last bus back to Querétaro standing up the whole way in lots of stop and go traffic, but we were luckier than many others who were left standing on the side of the road in the cold wind once our driver decided he really couldn’t stuff anyone more into his vehicle. 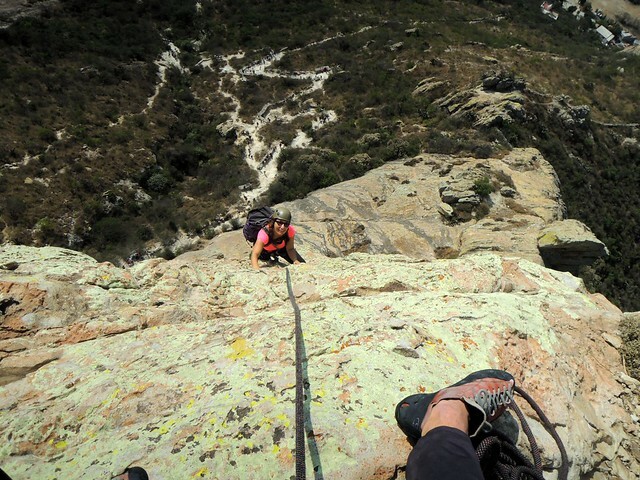 This entry was posted in Climbing, Mexico, Traveling and tagged Bernal, Querétaro. Bookmark the permalink. Read your post on spending the New Year’s holiday in Queretro and saw a photo of suckling pigs – my wide and I will be spending this coming New Year’s in Queretro and would love to visit the place with the sucking pigs – could you provide us with more info on the name and location of the place. 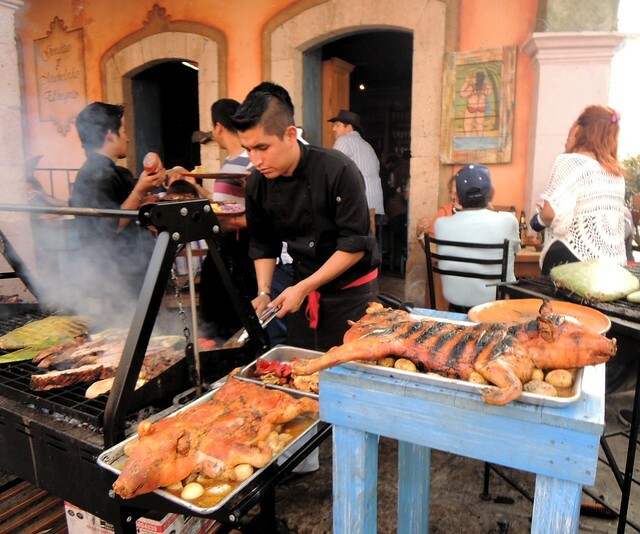 The pigs were in Bernal, one of SECTUR’s Pueblos Mágicos. I recommend a visit there. I’ve been twice and would go back. It’s crowded on weekends, but if you go during the week, I bet you wouldn’t find pigs like that. Bernal’s not big. Wandering around a little you’ll find the place where the pigs were that day, but remember that was a very busy holiday weekend. 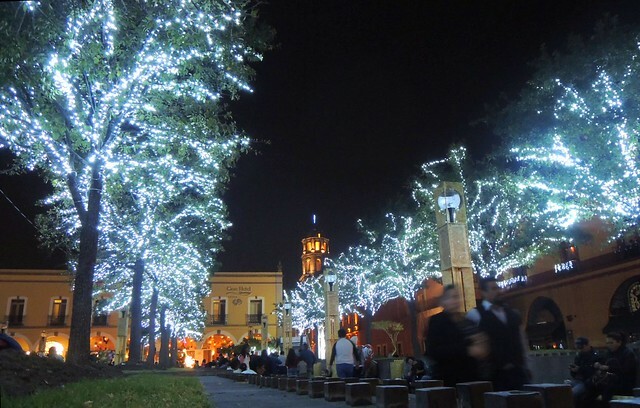 Enjoy Querétaro. It’s a great city.